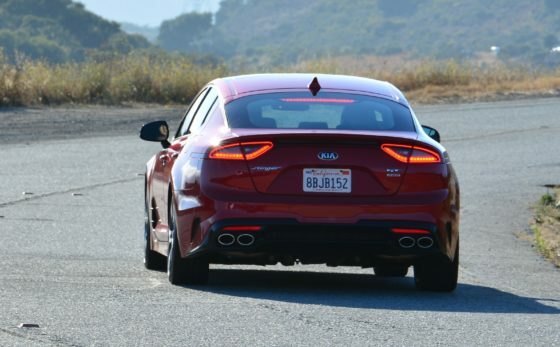 I certainly had high hopes for Kia’s ambitious new sports sedan and it actually exceeded our expectations. We absolutely loved it! 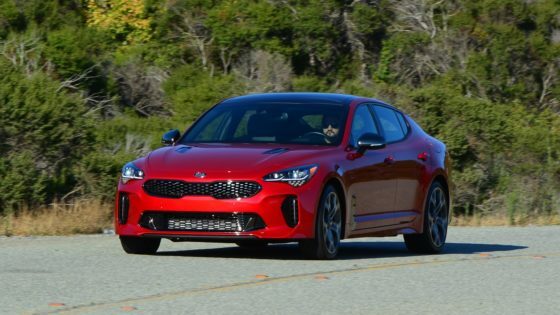 Not only is the North American version of the Stinger GT the best of the breed but it even has its own unique combined synthetic and mechanical aural exhaust note from the awesome quad-exhaust! 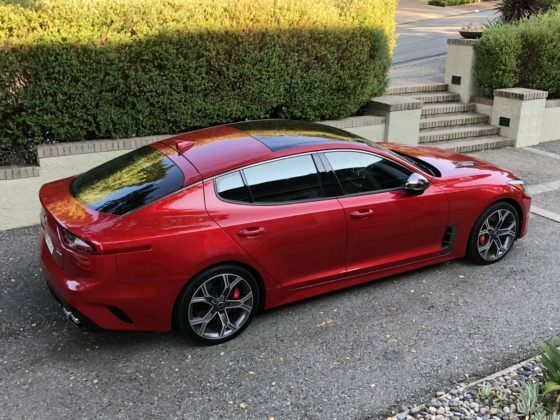 It is by far the greatest Kia car ever built! 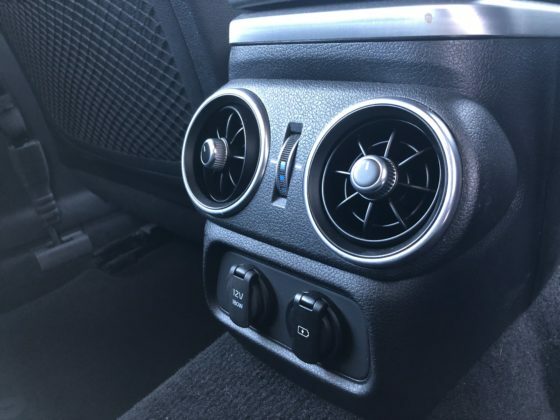 The design and build quality are at its highest form for the brand. 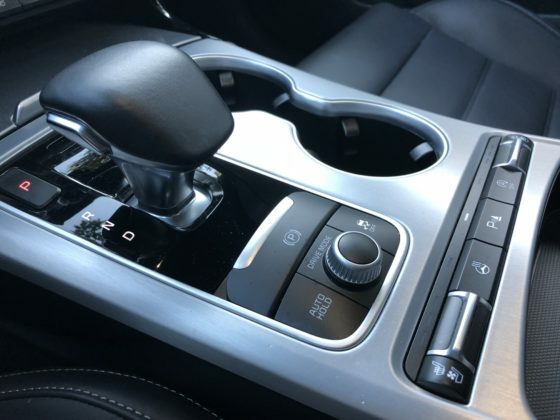 The suspension is very compliant yet makes the new Kia handle with planted poise. 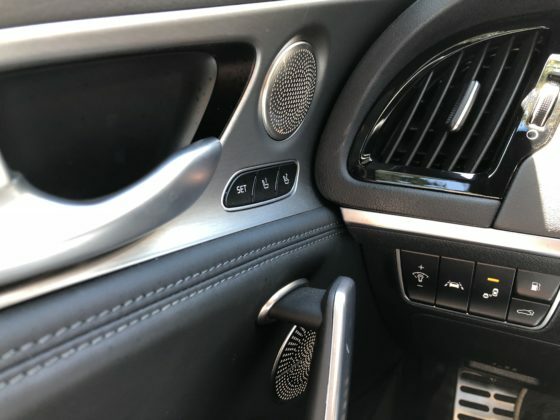 The cabin design is a combined European and Asian effort and it succeeds in my book. 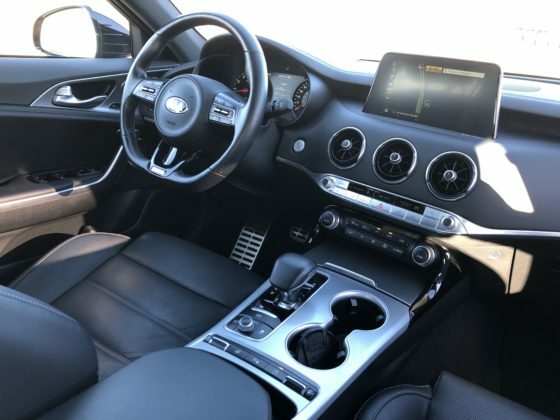 The cabin is very spacious with all the right textures and features, the Stinger is a high-value, high performing sports sedan that completely deserves respect and love. 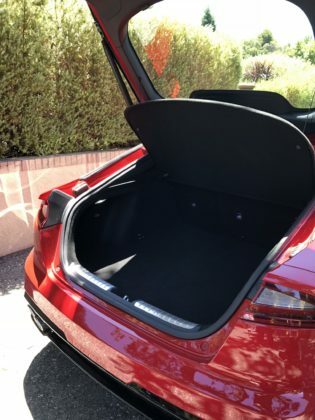 The fact that it is actually a hatchback with a capacious and easy access trunk are further bonuses for an already very desirable 5-adult capacity car that is cleverly positioned, especially for the price, between premium compact and mid-size sedans. 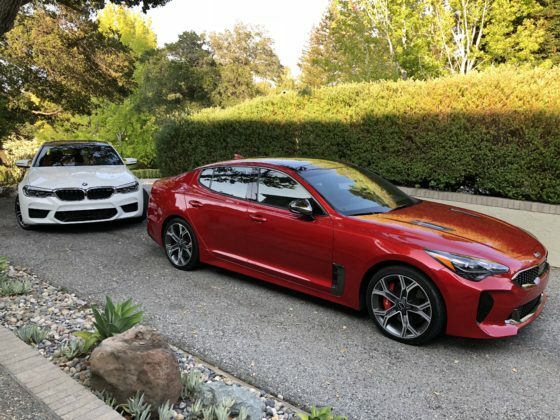 The Stinger uses a tweaked version of the Genesis G70’s rear-wheel-drive platform. 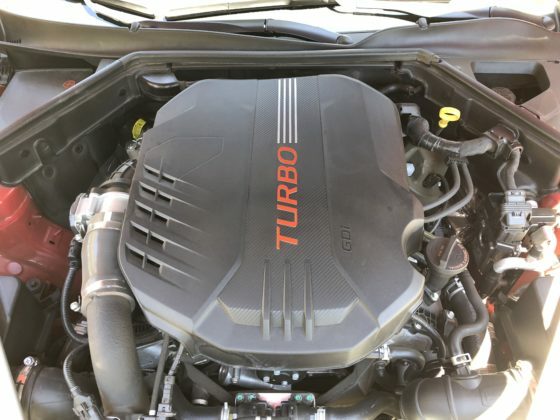 Our maximum-featured Hichroma Red colored GT2 test unit had both an intelligent active AWD system that is rear-wheel biased (which can channel power up to 50 % of torque to the front wheels or as much as 80 % to the rear wheels) and a very athletic twin-turbocharged 3.3-liter V6 mated to a lively in-house 8-speed automatic gearbox. 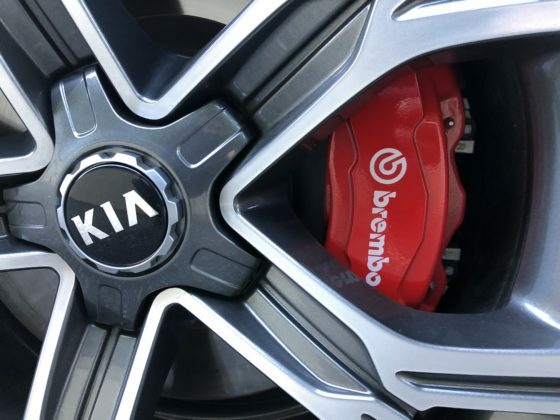 The red-painted Brembo® brake system (13.8-inch front with 4-pot calipers / 13.4 inches at the rear with 2 calipers) is exceptional and together with the electronically adjustable adaptive suspension, the Stinger is a genuine performer with very inconsequential compromises. 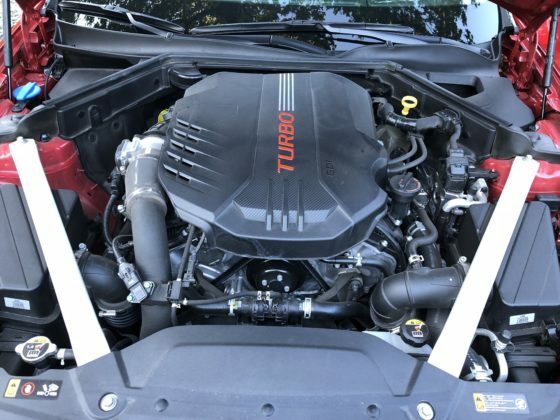 The handsome mixed 19-inch alloys use aggressive yet compliant Michelin Pilot Sport 4 S tires, 225/40R19 93Y up front, and 255/35R19 96Y at the rear. 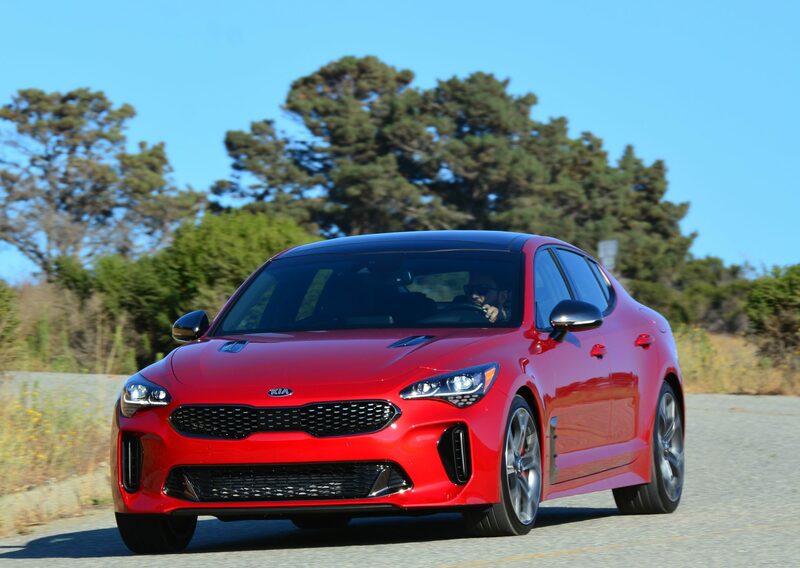 Like in most current sport sedans of this caliber, the Stinger has multiple drive mode settings to suitdriver requirements (five settings: Comfort, Sport, Smart, Eco, and Custom which allows quite a full array of fine-tuning parameters to adjust the car’s behavior, from suspension firmness, to throttle mapping, shift points and even engine-sound enhancement). 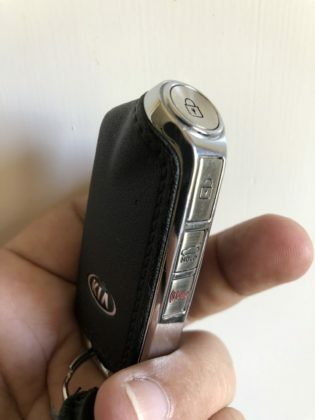 Even the key fob is really cool and unique. 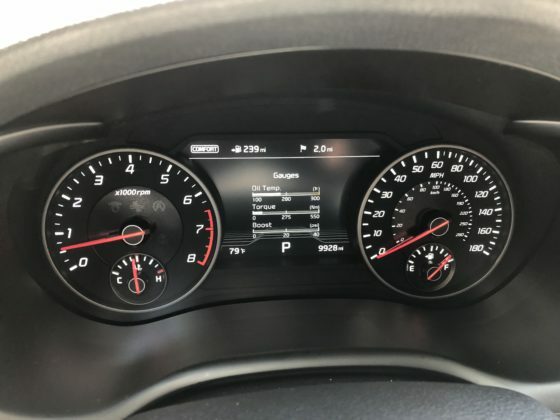 Remember when some folks would complain about how Kia’s looked? 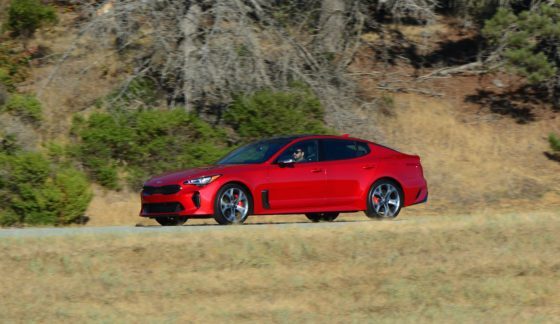 Well, the Stinger is a knockout, attracting random pedestrians to literally stop intheir tracks and peer insidethe car when parked with awe and wonder. Our test unit had the buttery smooth perforated Nappa leather appointments with vented front seats, an excellent 720-watt 15-speaker Harman Kardon audio with 8-inch touchscreen infotainment system and guided parking camera, glass roof, full-LED lighting, a smart power trunk, a mechanical limited slip rear differential, colored Head-Up display, ambient interior lighting, a liberal host of safety measures that include dynamic torque vectoring, a proper meaty steering wheel with very good feel and paddleshifts, sporty analog instrumentation, and generous interior insulation with some minor lingering plastic bits as a minor consequence of managing cost. 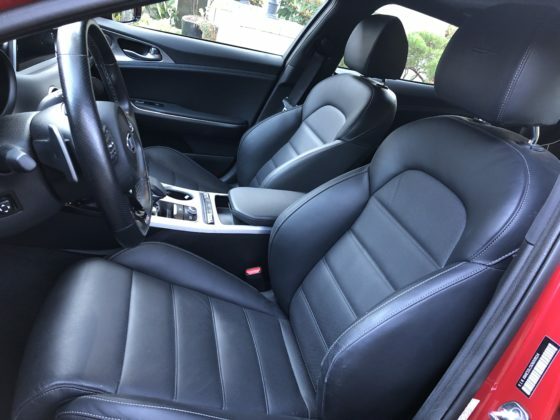 It is a very nimble yet very easy car to drive whether at its deep limits or when doing plebian daily errands. 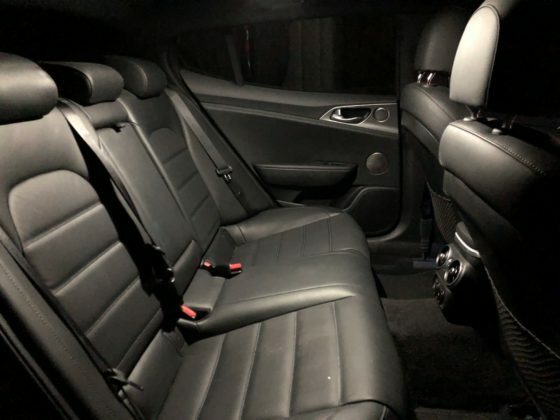 The rear seats are also very comfortable and supportive. 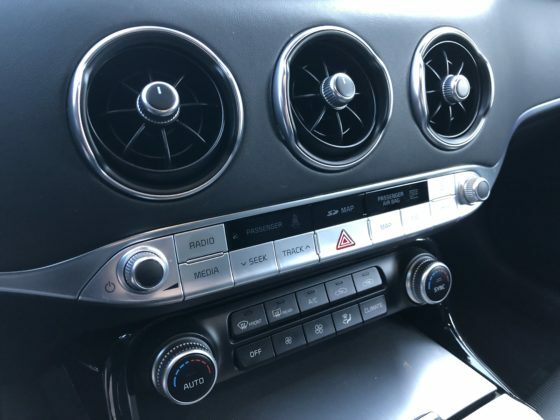 I want to point out that the matching rear a/c vents look and function splendidly as well. 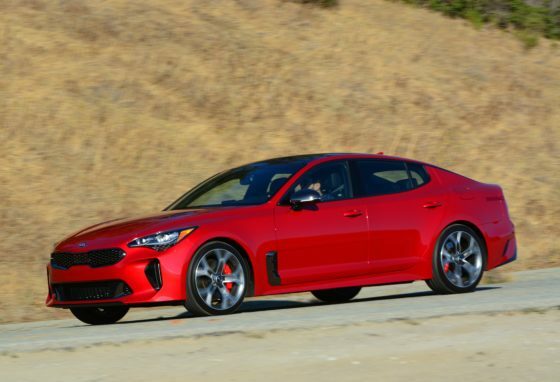 I would gladly buy this Stinger over an Audi A4 or Mercedes-Benz C-class which would both have less performance, space, and equipment for way more money, and I would drive the Kia with pride and complete satisfaction!